Share the delight of special childhood treats with this CHARM IT! Retro Gumball Machine charm. 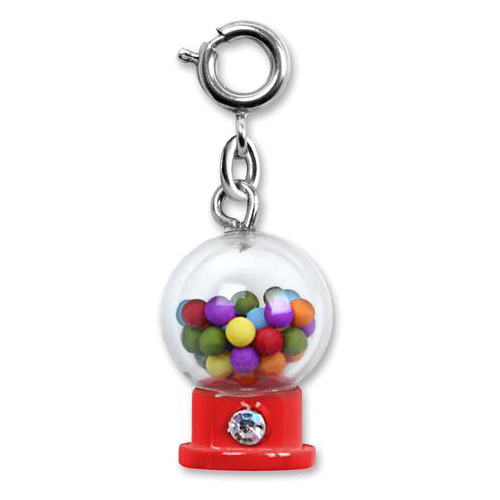 With a red enamel base, complete with sparkly stone "shute," this fun gumball machine charm has a globe of colorful "gumballs" that bounce and jump with your every movement. A whimsical 3-dimensional addition to any charm bracelet, this CHARM IT! 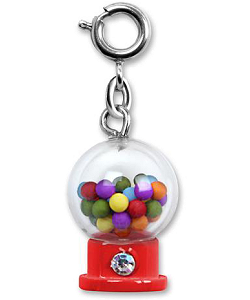 Retro Gumball Machine charm adds a fun spark of personality with a simple snap of a clasp.